Which Marine Angelfish Are Best for Your Aquarium? 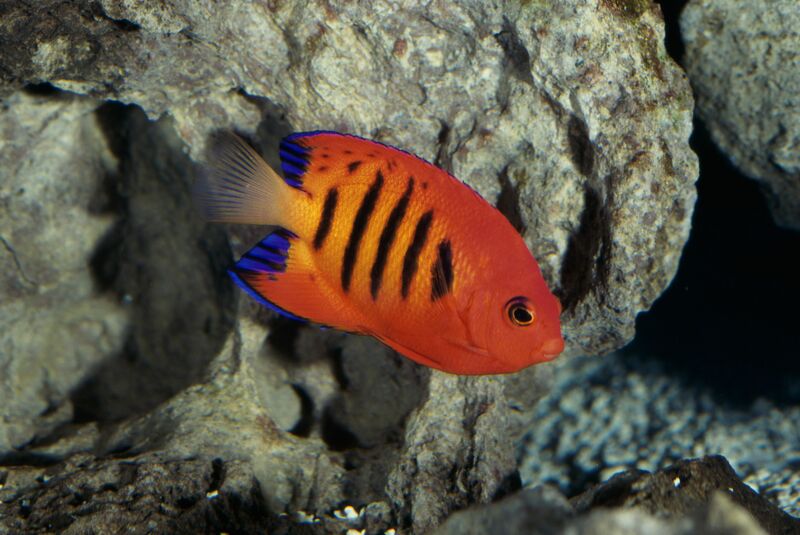 It's not always an easy decision when choosing an angelfish for a saltwater aquarium (also known as a reef aquarium). So, which ones will be best for you? The following list is organized around three basic marine angelfish categories, where you can view good and poor starter grouped by small, medium, and large size species. You'll learn which species are good choices for beginner and intermediate hobbyists, as well as those best that require advanced-level care and a near-perfect environment in which to thrive. Many aquarists have heard that you can't have angelfish and saltwater corals in the same tank, but that is not always the case. Some angelfish species are much more reef-tank friendly than others because they are less prone to nibble at corals and other decorative invertebrates. 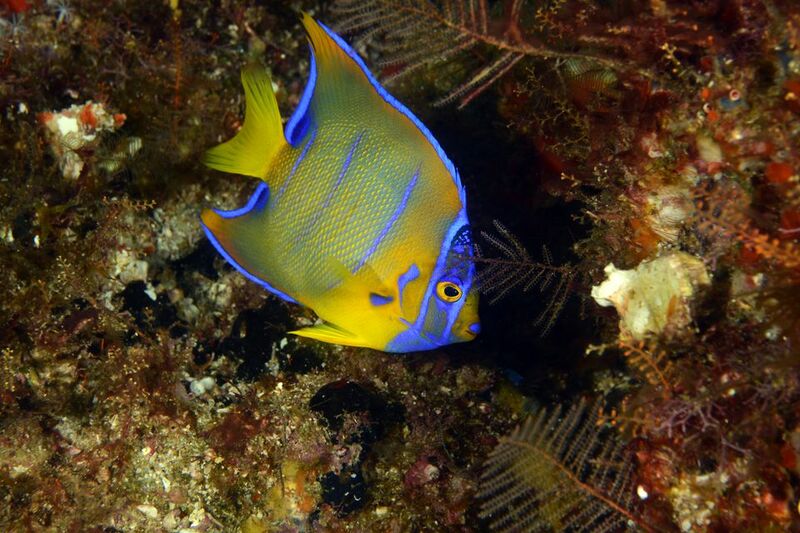 Most angelfish have special and specific dietary requirements that make feeding them a bit more difficult. And most of the small and medium angelfish are reclusive by nature — they need places to hide when they feel threatened, so, therefore, don't do all that well in an open tank with no place to hide. Even the easy-to-care-for varieties of angelfish require a little more diligence and planning than some other marine aquarium species. When choosing an angelfish for your tank keep in mind that whichever species you decide on, it will get bigger over time. Plan ahead so your fish don't overwhelm the tank and their tank mates. This group includes the smallest of all angelfishes, the Centropyge species. "Small" is a relative term here, with a variety of sizes in this group of species: the keyhole angel reaches 7.5 inches; the bicolor, 5.9 inches; the fisher, 2.4 inches; and African flame back, 2.8 inches. But this species group includes the smallest varieties, with an average size of 3.1 to 5.5 inches in length. There are many dwarf or pygmy angels considered to be good starter fish for a beginner or intermediate aquarists, while others are poor choices, requiring experienced or advanced care. This group of angels includes the Genicanthus, Chaetodontoplus and Apolemichthys species. These angelfish range in average size from 5.5 up to 9.8 inches. Many of these angelfishes are good for beginner to intermediate saltwater hobbyists, while others are hard to keep and adapt to aquarium life, and therefore should be avoided by beginners. This group of angels includes the Holacanthus and Pomacanthus species. Although only a couple of these angelfishes grow to about 5.0 inches in size, the others attain an average length of 8.0 up to 20 inches in size. This group of angles require very large aquariums, from 100 to 200 gallons, and are very difficult to care for and don't adjust well in captivity. For these and other reasons, they are best kept only by advanced level aquarium keepers, with some species being better off left in the wild altogether. To reiterate, none of the large species can be genuinely recommended except for advanced hobbyists.